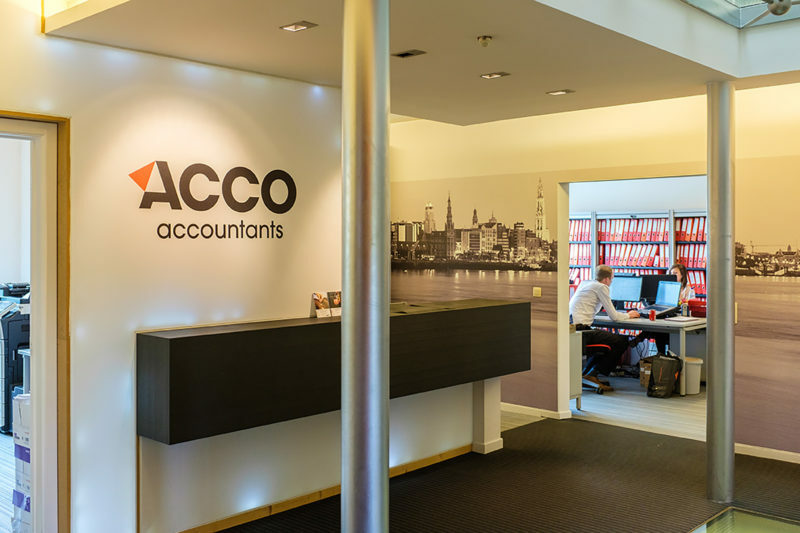 Started in 1985, Acco Accountants has become a driven and young organization over the years with approximately 25 employees. Together they offer a pragmatic and results-oriented approach. With other words pure professionals with no 9-to-5 mentality, but who take the time and pay attention to your interests. In order that– independent, liberal profession, SME or (non-profit) organization – you comply with the law and make maximum use of the opportunities offered by the legislator. With our one-stop-shopping offer, we help you in the most transparent way to structure, optimize and manage your financial and administrative obligations. You yourself choose the way of working together which will bring you where you want to be. As well for the full accounting process, as for the support of your own day-to-day bookkeeping or for the preparation of the financial statements and for all (tax) returns. We can always offer a customized package, tailored to your needs. Even if those needs are international, through ACCO Accountants you have access to the knowledge and collaboration platform of the Geneva Group International AG, the world's sixth largest party of accountants, tax specialists and lawyers. In short, we are small enough to remain personal, but also large enough to be influential. In addition, we have, by the in-house synergies between our accounting firm and a law practice, the legal knowledge and best practices for an integrated service of ' compliance ' to ' consultancy '. So feel free to call us experts with a panoramic view – not only exceedingly strong in optimization, but also in optimal advice.